Posted on December 5, 2017 Author taber	No Comments on On I-66, Virginia can have high peak tolls or gridlock. Pick one. Since 1982, I-66 has provided a limited-access car route to the District of Columbia from Virginia’s prosperous and growing suburbs. That highway connection to one of America’s most important cities has surely played a part in the meteoric growth of the counties along its route. But there’s long been a string attached: on the narrow segment between Dunn Loring and DC, “inside the beltway” in local parlance, I-66 has been limited at peak hours to carpools and buses. Faced with limited physical space, Virginia correctly decided that the best way to maximize the utility of I-66 was to move as many people as possible, and that meant restricting access for solo drivers that would otherwise gum up the works. With the introduction of the new high-occupancy tolling (HOT) plan, allowing solo drivers the opportunity to legally use the road at peak for the first time in decades for a price, the priority remains the same. The utility of I-66 lies entirely in moving people. To succeed at its mission, buses and carpools must take extreme priority over single-occupant vehicles at peak hours, because of simple geometry: they move more people while taking up less space. Dynamic tolling is a huge help in making sure that happens. When traffic is flowing very freely, the rates are quite low because adding additional vehicles to the roadway doesn’t hurt. When traffic isn’t moving freely, the rates are high because adding additional vehicles to the roadway compromises its ability to move people along. It’s an intentional demand management strategy, not an unforeseen flaw, that the rates get high enough to keep solo drivers off the road. Don’t let your eyes water at the absolute top-line toll. It has to be expensive to strongly discourage drivers that have any alternative from using it and keep the buses already on it moving when traffic is heavy. It’s really that easy. There’s no shortage of ways for commuters to avoid the tolls either. Fairfax Connector, Metro Bus, Metro Rail, Loudoun Transit, OmniRide, and Virginia Railway Express all offer direct connections to DC. Travelers that choose not to take advantage of any of these services can drive and completely avoid tolling by simply finding one other person to share their commute. A vast array of organizations will even help match drivers with a carpool mate. There is a surefire way to improve commutes for all Virginians. That’s to improve their transit service – higher frequency, more routes, and more options – and not just to and from DC, but within Northern Virginia. Because of induced demand, we simply can’t pave our way out of traffic congestion. Virginians deserve the freedom to go where they need to without driving at all, and too few of them have that. The new I-66 HOT expands choices for commuters, but Virginia just can’t have it both ways. Capping the tolls for solo drivers would cripple our ability to keep traffic free-flowing for carpools and transit vehicles that make more efficient use of the roadway, ensuring that everyone is permanently stuck in traffic. 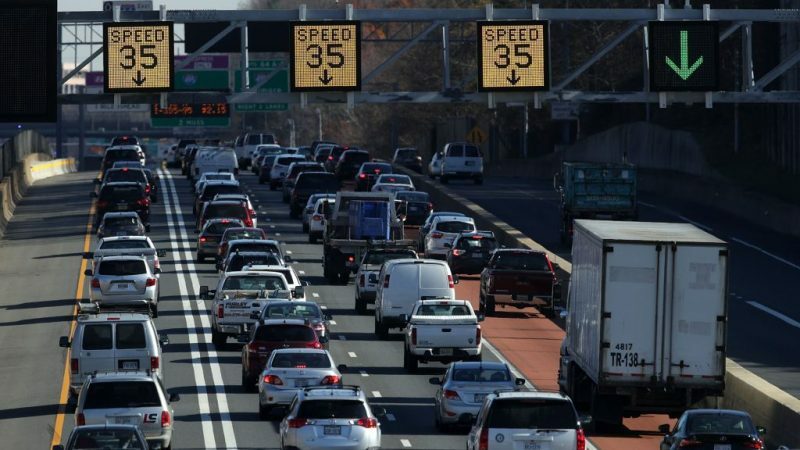 The recipe for success is to let peak demand tolls for solo drivers go as high as they need to mitigate demand, and invest the toll revenue in transit service frequency to make it even easier for Northern Virginians to avoid frustrating, stress-filled drives.